Winemaker enthusiasts, both the novice and the expert, could appreciate the role of the Stainless Steel Wine Barrel in the process of winemaking. Not only does the barrel has a better longevity compared to the traditional oak barrels, but the stainless steel wine barrel also offers shorter amount of time needed for making wine. Therefore, winemaking using the stainless steel wine barrels is without doubt more economical than the oak barrels. However, as one gets more focused on winemaking and production increases, it’s not easy to catch up with all the paperwork and the record needed to keep up with the batches and other data that each stainless steel wine barrel has. Fortunately, there is an iPad App to help us with it! 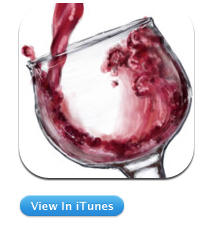 Winemaking app is a new application for iPad users developed by Tamarac. It aims to help the winemakers keeping track with the batches of wine they are making with only a simple, one-stop shop iPad. Now winemakers can ditch all the traditional pen and paper journal, which sometimes could be quite a pain if they ever lose it, and replace them instead with this Winemaking iPad app. Winemaking also includes conversions and calculations commonly used in the winemaking process, like volumes, temperatures, SO2 additions, sugar adjustments, etc. One can input various data such as description, varietal, etc. and if they ever need to calculate results of wine blends, they can do so with the blending calculator of this smart app. That function will definitely help a great deal if you like experimenting with wine blending. For new winemakers, the app has preliminary step-by-step guidelines for making both red wines and white wines. These guidelines contain minimal required equipment list (perfect for first timers who try new type of wine for the first time) and full required equipment list (for normal winemaking). Winemaking can never be easier now. Great article which It aims to help the winemakers keeping track with the batches of wine they are making with only a simple, one-stop shop iPad. Now winemakers can ditch all the traditional pen and paper journal, which sometimes could be quite a pain if they ever lose it, and replace them instead with this Winemaking iPad app. Thanks a lot for posting this article.